For the past year or so, I've documented three adoptions for a special family. Nicole and Chris have lovingly opened their home to some of the coolest kids on the planet. Since we're friends on Facebook, I've had a peek into their daily lives (especially after moving into a new home!) 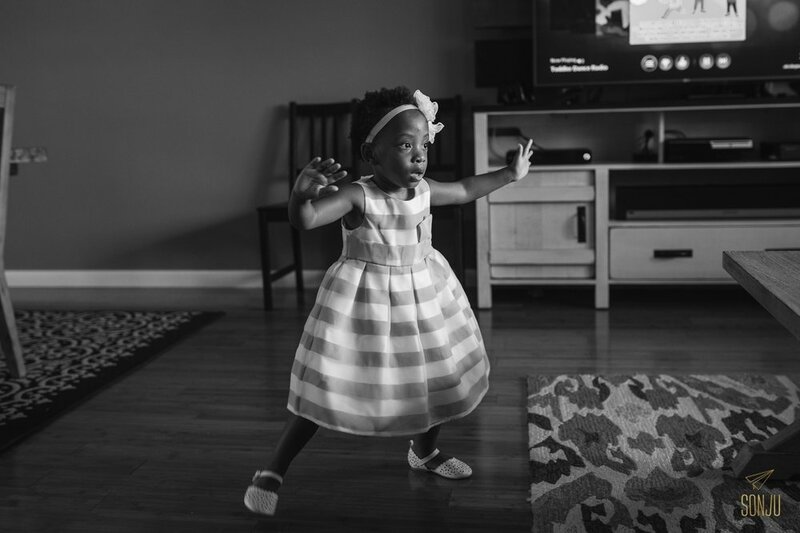 and asked if I could photograph the moments before heading to the courthouse for the adoption. And that hour before leaving was everything I thought it would be - beautiful chaos. With four children under the age of four, the home was filled with tiny people, family, and the sweet sweet sounds of Miss B's lungs (the girl can scream!) But Nicole and Chris handle it all with grace and a whole lotta love and patience. I'm telling you. They're saints. Are you finalizing an adoption in South Florida? I'd love to document the day for you. If you're in Broward, Palm Beach, or Miami Dade County, please click the button below to get in touch. And to all the forever families out there, especially Nicole and Chris, - THANK YOU for making a difference in this world.